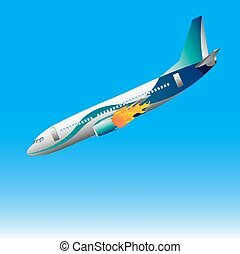 Catastrophe - crash of passenger plane . 3d illustration. 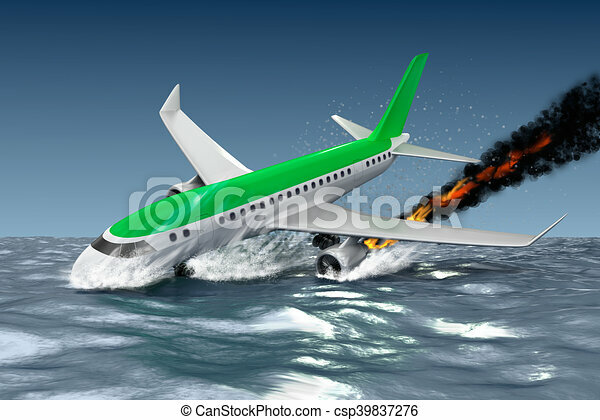 my own plane design. 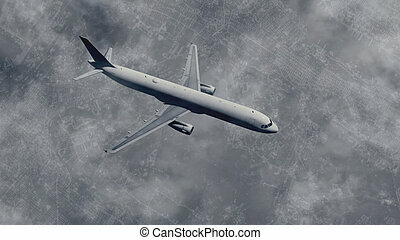 Top view of a passenger plane flies in a cloudy sky above big city at dusk. Black and white 3D illustration was done from my own 3D rendering file. 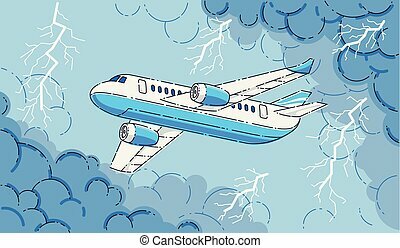 Plane in the storm, airliner flying through dark stormy clouds and lightning of thunderstorm, beautiful thin line 3d vector illustration. 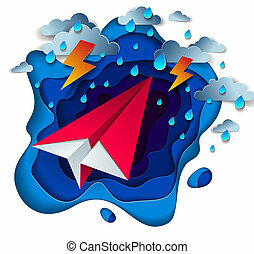 Origami paper plane toy flying in thunderstorm with lightning, dramatic vector illustration of stormy rainy weather over ocean with toy airplane struggles to survive. 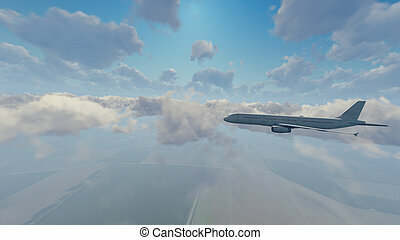 Side view of big passenger airplane flying high in the sky above countryside fields among cumulus clouds. 3D illustration was done from my own 3D rendering file. 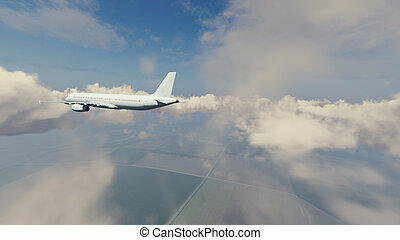 Rear view of passenger airliner flying high in the sky above countryside among cumulus clouds at daytime. 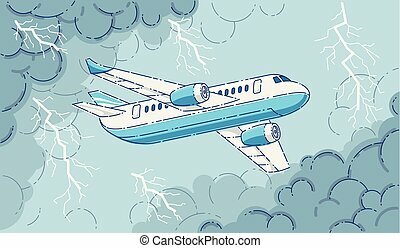 3D illustration was done from my own 3D rendering file.